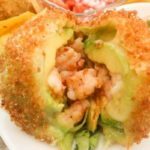 Stuffed Avocado Cauliflower Ceviche | Mexican Appetizers and More! 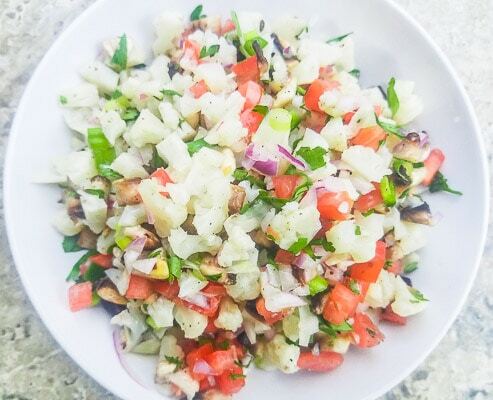 Ceviche is usually made with some sort of seafood marinated in fresh lime juice. 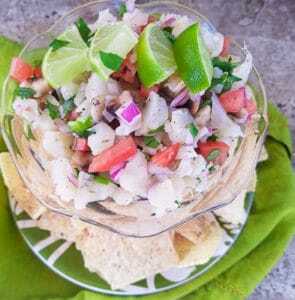 Some of the more popular ceviches dishes across the internet are made with tilapia, shrimp and scallops. 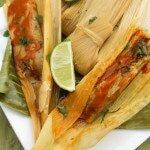 Here on Mexican Appetizers and More we have a few recipes too! and quite a few more so feel free to check them out here→ceviches. But it also seems that more and more vegetarian ceviches are now on the rise as well. 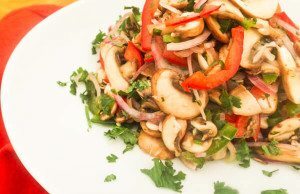 A few include mushroom ceviche, summer vegetable ceviche, hearts of palm ceviche and of course cauliflower ceviche, just to name a few. So whether you are a Vegetarian/Vegan or not, vegetarian ceviches are just fabulous and delicious. You will now even find fruit ceviche on the internet, for example mango ceviche or tropical fruit and habanero ceviche. 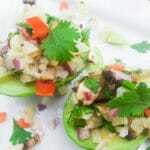 This stuffed avocado cauliflower ceviche is certainly enjoyed by Vegetarian and meat lovers alike. Begin with chopping up the veggies and cilantro. So begin with the red onion, mushrooms, tomatoes, scallions, jalapeño and finally the cilantro. 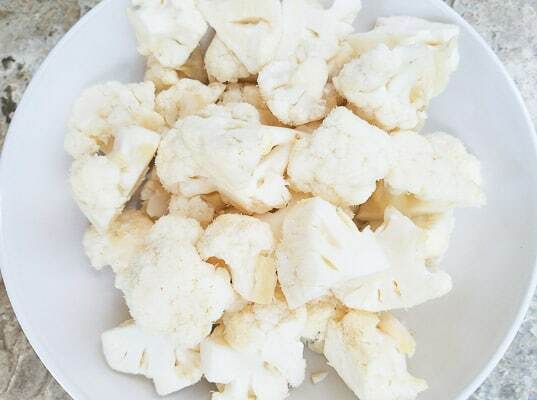 Let the Cauliflower ceviche marinate for 25 minutes or overnight in the refrigerator. 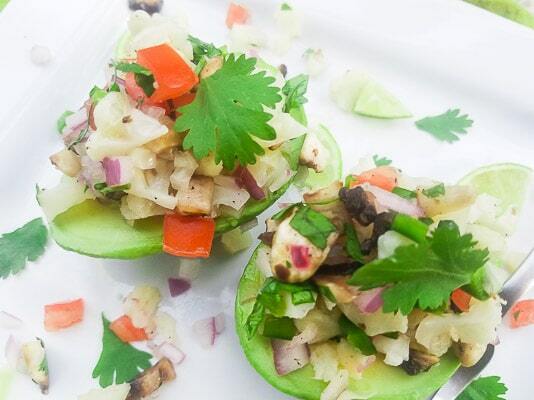 Cut the avocados in half and top with cauliflower ceviche and if you like to make this dish even more delicious and refreshing, top with salsa verde. You can also scoop some of the avocado flesh from the center to create a bigger cavity to hold the cauliflower ceviche. 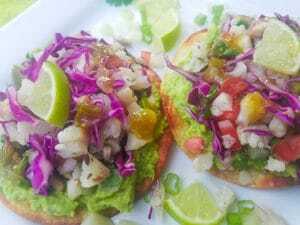 Note: If you find yourself with extra cauliflower ceviche, you can always use the leftovers in a serving of cauliflower ceviche tostadas or serve with tortilla chips as a dip. Add all to a bowl and mix well. Add lime juice and salt and pepper to taste. Mix all together well. 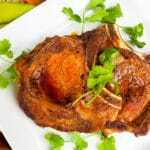 Marinate for 25 minutes in the refrigerator. Cut avocados in half, remove pits and skin. 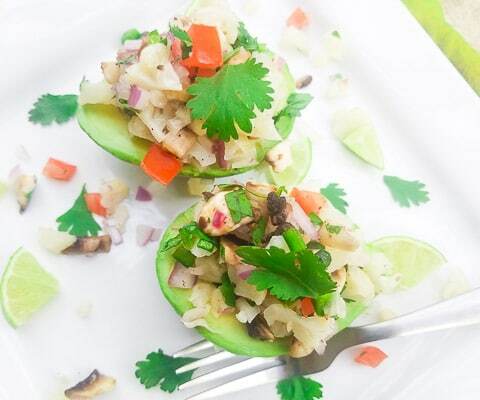 Top avocado halves with cauliflower ceviche and salsa verde (if using). Enjoy! 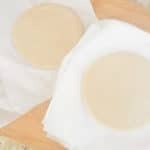 If you find yourself with extra cauliflower ceviche, you can always use the leftovers in a serving of cauliflower ceviche tostadas or serve with tortilla chips as a dip. Such a great appetizer! Looks delicious and healthy! Always craving for some healthy mixtures. Thanks a lot Cathy. 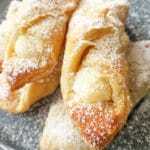 These will certainly satisfy the craving! Great appetizer, so pretty and the flavors are fabulous. I love how fresh and pretty this recipe is! I’m sure these would be gobbled up at any party – YUM! Thank you Jillian! These are quite delish for sure!